Involvement: Creative director, designer, and project coordinator. 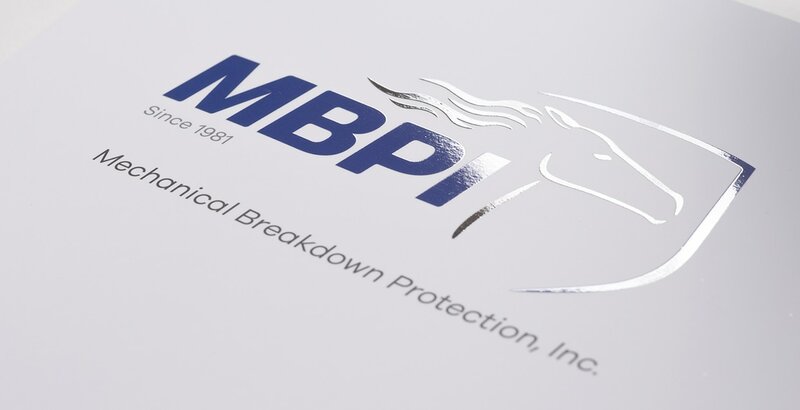 Used existing logo and established brand color. 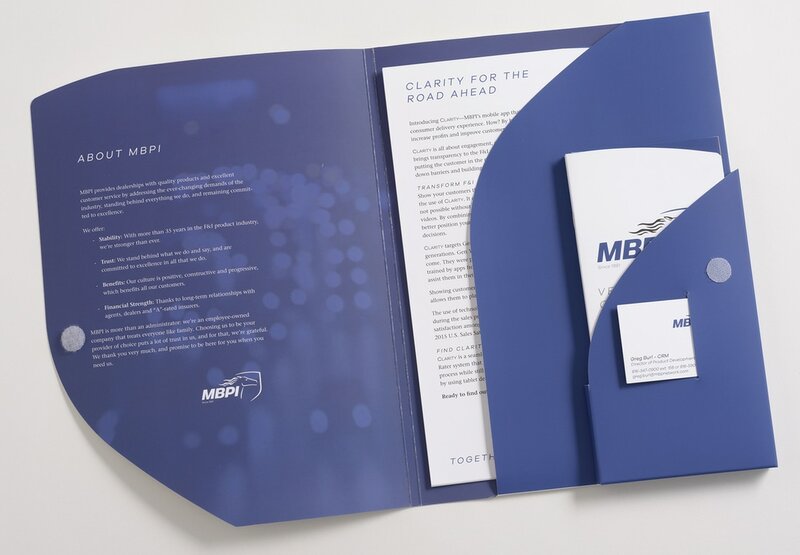 ​MBPI requested a complete rebrand of all their marketing materials, based on their existing logo (which I did end up refining just a little) to better reflect the great experiences of their customers, and to position MBPI as a quality leader in their industry. Based on my client's budget, all the images are modified stock photography. 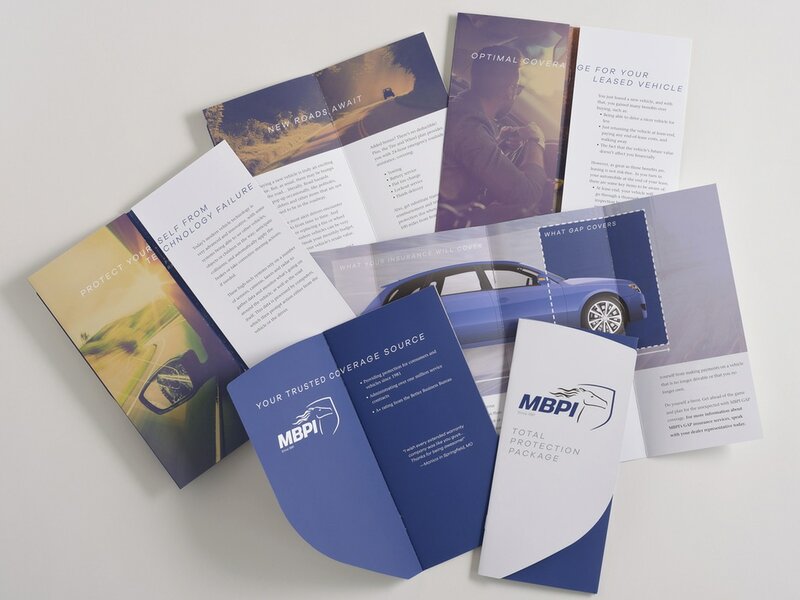 I worked within my own virtual agency, hired an established copywriter, and arranged for all printing. 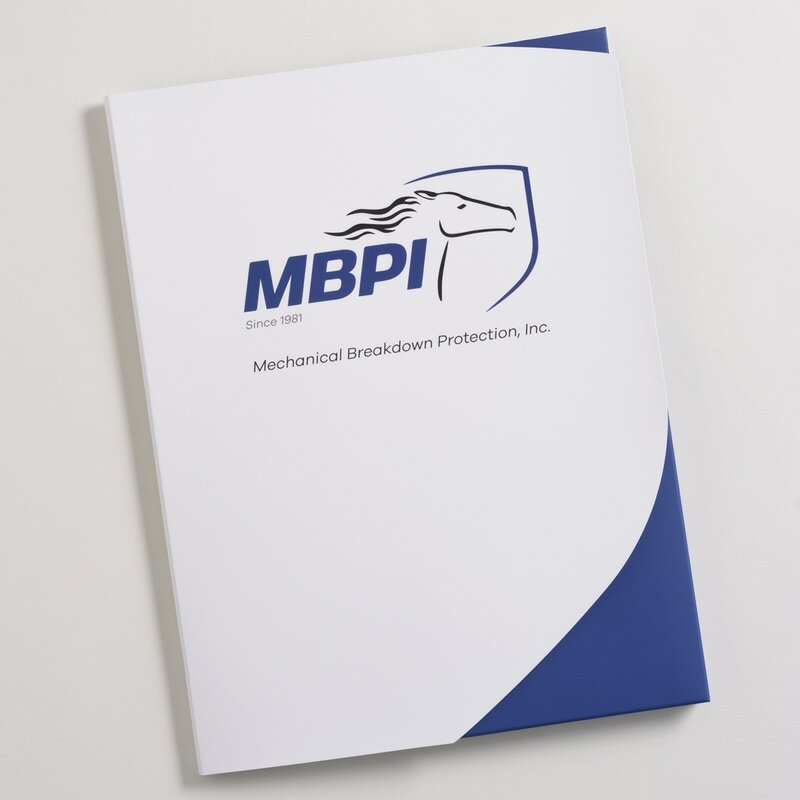 The retail brochures have soft-touch aqueous coating, double gate folds, and a custom die-cut cover. 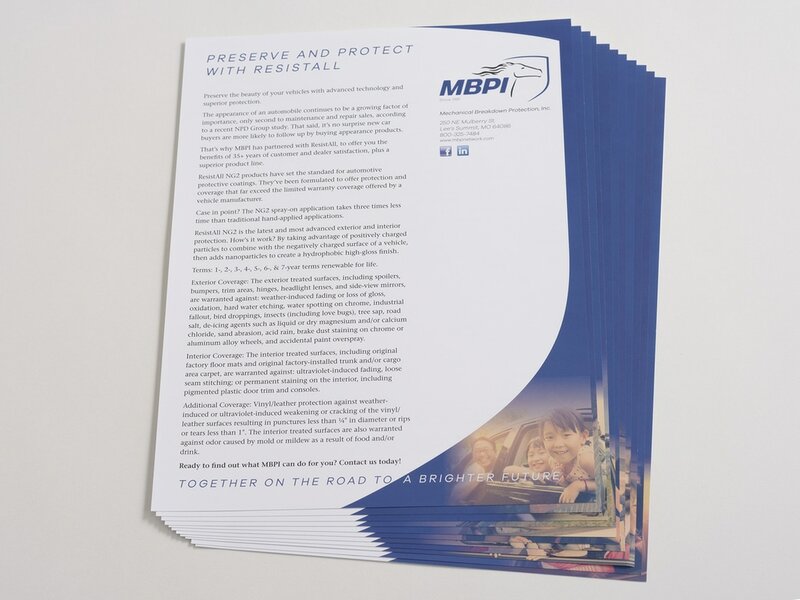 The B2B flyers also have a soft-touch aqueous coating. The business cards were printed with a black core via moo.com. 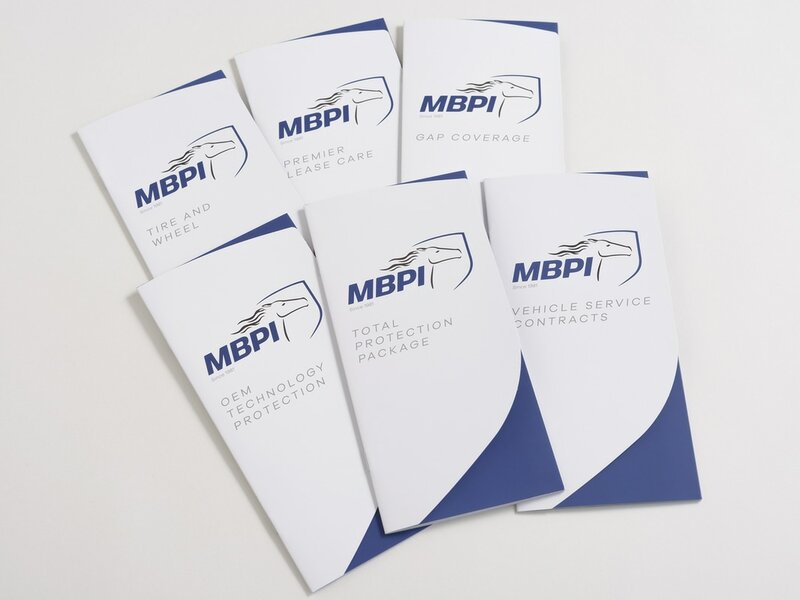 The "About Us" brochure also has a custom die-cut cover, and is aqueous coated. All the pieces were delivered on time and within budget, making for a very satisfied client. 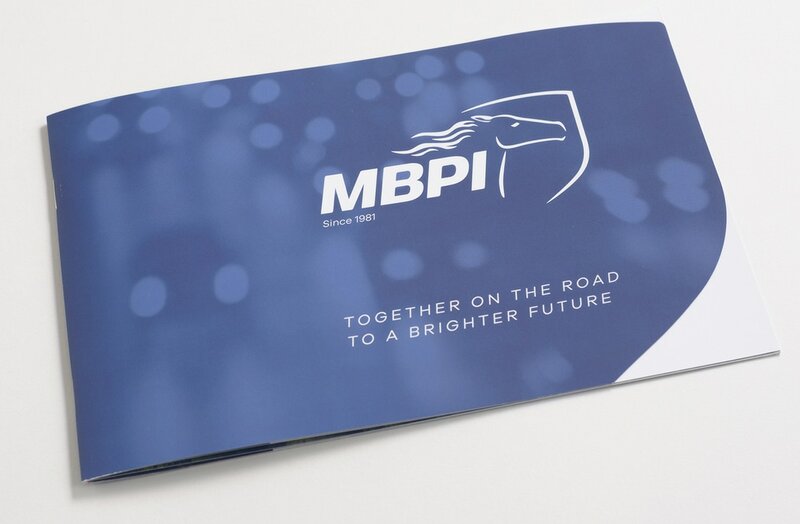 Overall, a great collection of new marketing materials MBPI's representatives couldn't wait to get out and share with new customers.